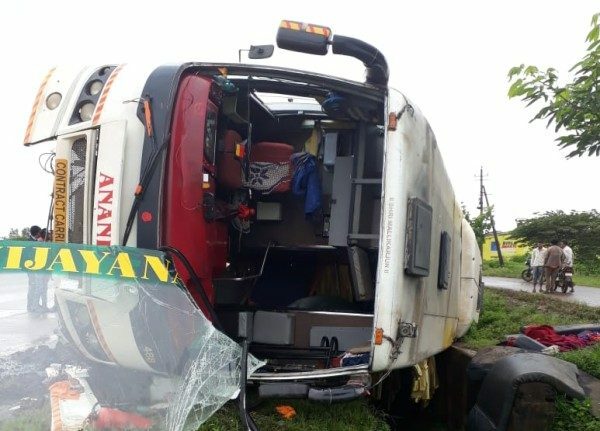 The VRL Bus from Bengaluru to Pune toppled near Suvarna Soudha on NH 4 on Saturday morning at around 6.30 AM, 6 persons including the driver have been injured. Police sources say that the bus might have toppled as the driver lost control of the bus and went into the side gutter of the highway. The driver is said to be critical. MLA Anil Benake visited the hospital and assured all help and care for the injured.